The ACOG’s move to raise to the national level the importance of addressing antenatal depression is based on previous data that have shown that as few as 1 in 3 women who meet diagnostic criteria for depression receive a formal diagnosis from their obstetrician and fewer than 1 in 6 received any mental health treatment whatsoever (Marcus, Flynn, Blow, & Barry, 2003). Although it is important to screen women, the value of screening rests, in part, on having services available for women in need. Many women who screen positive for depression during pregnancy have limited options, especially for psychotherapy in the obstetric setting, their most preferred treatment option for depression (Battle, Salisbury, Schofield, & Ortiz-Hernandez, 2013). Behavioral Activation (BA) is a promising treatment for antenatal depression for three main reasons. First, converging lines of empirical evidence support the efficacy of BA in the acute treatment of depression (e.g., (Cuijpers, Andersson, Donker, & van Straten, 2011; Dimidjian, Barrera, Martell, Munoz, & Lewinsohn, 2011). Second, BA is based on straightforward behavioral principles that employ a limited number of basic intervention procedures. Compared to more complex treatments for depression, BA contains fewer treatment components and may place a smaller burden on learners, making it particularly suitable to providers in obstetric and other medical settings. Multiple studies support the effectiveness of BA as delivered by non-specialist providers (Patel et al., 2010; Ekers, Richards, McMillan, Bland, & Gilbody, 2011). Finally, life changes that occur during pregnancy are well matched to BA’s emphasis that shifts in life context trigger the “downward spiral” of the maladaptive relation of depressed mood and decreased effective activity. The purpose of this study was to evaluate BA using a pragmatic effectiveness randomized controlled trial within four large health systems (i.e., Kaiser Permanente Colorado and Georgia, Group Health, Health Partners) that participate in the National Institute of Mental Health funded Mental Health Research Network (MHRN). We randomly assigned 163 pregnant women to BA or treatment as usual (TAU) and assessed changes in depressive severity and treatment response as measured by the Patient Health Questionnaire (PHQ-9; Kroenke, Spitzer, & Williams, 2001). We also assessed whether BA outperformed TAU on self-report measures of anxiety, stress, and putative targets of BA that theoretically mediate treatment outcomes (i.e., patient activation and environmental reward). BA was adapted for antenatal depression and for delivery by obstetric nurses and behavioral health providers for a maximum of 10 sessions. TAU consisted of routine care and completing study assessments, and when study assessment revealed elevated depressive symptoms, the participant and their obstetrician received a referral to behavioral health. BA outperformed TAU with statistically and clinically significant differences in multiple outcomes measured at 3-month postpartum follow-up. Importantly, 56% of women assigned to BA met criteria for depression remission (<5 on PHQ-9) compared to only 30% of TAU participants, c2(1) = 8.92, p = .003. BA participants also demonstrated statistically significant improvements in anxiety, stress, and activation compared to TAU participants. Given the combination of high prevalence and adverse effects for both mothers and infants, depression during pregnancy is increasingly recognized as a serious public health problem. 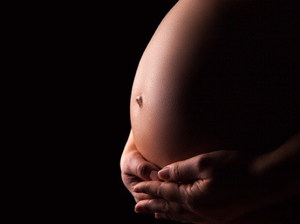 Unfortunately, many women who experience depression during pregnancy do not receive treatment. There is a high need for effective interventions that can be delivered in the clinical settings where pregnant women receive healthcare, that is, in obstetrics and gynecology clinics. This study suggests that BA is an effective treatment for depression during pregnancy and can be successfully delivered in the obstetrics setting by allied health providers, including nurses. It will be important for future studies to evaluate methods to increase the availability of BA for pregnant women and to evaluate the effects of BA on other outcomes such as parenting and child development. 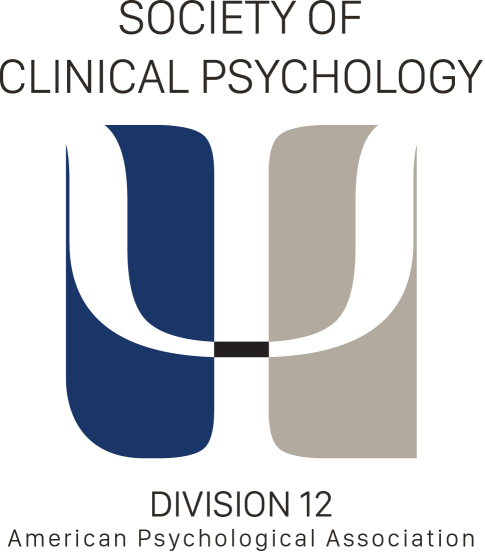 More broadly, this study also suggests that augmenting roles of non-mental health providers to include the provision of modified evidence-based psychotherapy is a viable approach to reducing the gap between those with diagnosable mental illnesses and access to effective care (Kazdin & Blase, 2011; Kessler & Wang, 2008). What factors make BA a promising match for treating depression during pregnancy? What are sustainable supervisory methods that can support allied professionals in the delivery of mental health care to pregnant and postpartum women? Does effective treatment of depression during and after pregnancy result in improved mother-infant bonding and child outcomes? Sam Hubley, Ph.D. earned his B.A. in psychology from Cornell University 2005 and his Ph.D. in clinical psychology from the University of Colorado Boulder in 2013. He completed an internship and postdoctoral fellowship in clinical psychology at the Alpert Medical School of Brown University. He is an assistant professor in the Department of Family Medicine at University of Colorado Denver. His work focuses focus is on developing and evaluating models of integrated behavioral health and primary care, novel delivery methods of evidence-based psychological treatments, and population- and art-based approaches to mental health treatment and prevention. Sona Dimidjian, Ph.D. earned her B.A. in psychology from The University of Chicago in 1990 and her Ph.D. in clinical psychology from the University of Washington in 2005. She completed an internship in clinical psychology at the Veteran’s Administration Puget Sound Healthcare System in Seattle, WA. She is an associate professor in the Department of Psychology and Neuroscience at University of Colorado Boulder. Her work focuses on the treatment and prevention of depression, with a particular focus on the mental health of women during pregnancy and postpartum and the use of behavioral interventions and contemplative practices, such as mindfulness and compassion meditation, to promote enduring well-being among women and children. Marcus, S. M., Flynn, H. A., Blow, F. C., & Barry, K. L. (2003). Depressive symptoms among pregnant women screened in obstetrics settings. Journal of Women’s Health, 12(4), 373-380. Patel V, Weiss HA, Chowdhary N, et al. Effectiveness of an intervention led by lay health counsellors for depressive and anxiety disorders in primary care in Goa, India (MANAS): A cluster randomised controlled trial. Lancet 2010; 376:2086–95.